Posted by Marissa Russell on February 6, 2019 in Lifestyles, Top Stories. While most college students believe they are young and don’t need to go to the doctor, it’s the exact opposite. Beaumont.org claims it is never too early to screen your heart, and stresses the importance of getting health screenings in your 20s. Ferris pre-medicine senior Austin Vanwyk tries to stay healthy by going to the gym and eating right to boost his heart’s health. 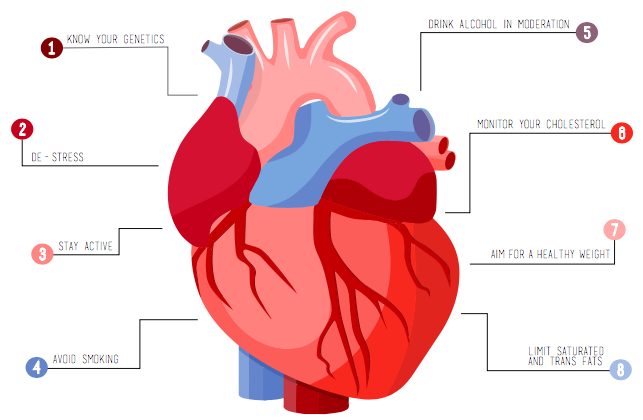 Ferris is using the month of February to show students that taking care of their hearts is better sooner rather than later, with registered student organizations (RSO) and other members on campus having planned different activities to help with this message. Ferris pre-medicine sophomore Chad Steele said although he doesn’t screen his heart, he believes everyone should as soon as possible. Steele goes to the doctor every six weeks but has been going less since attending college. In honor of American Heart Month, the sports careers RSO is working in collaboration with the Ferris sports communication program and the Student Nurses Association RSO to host the Red Out the Wink and the Rink event. At this event, students are encouraged to wear red in support of heart health. Red Out the Wink and the Rink occurs 1—7 p.m. Saturday, Feb. 9, at Ewigleben Sports Complex. “It’s important for the students because it’s personal, because it’s real, because they get an actual learning experience for bringing an issue to the community through sports that matters to them and should matter to the community,” Alspach said.